I'm on a mission to create crafts inspired by each of the 50 states. 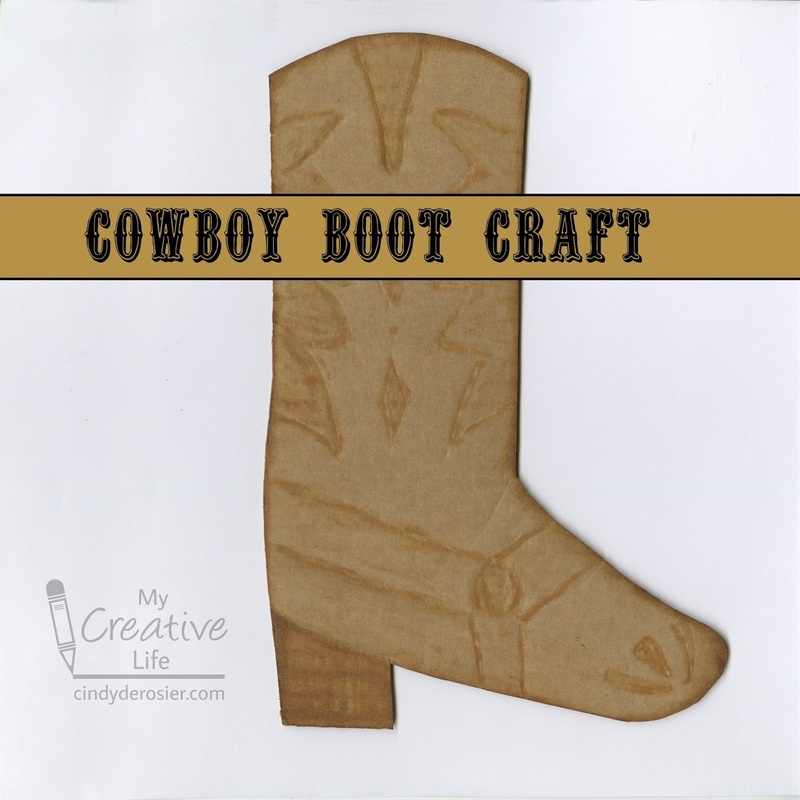 Is there anything more Texas than a cowboy boot? This one is made from the flap of a cardboard box. 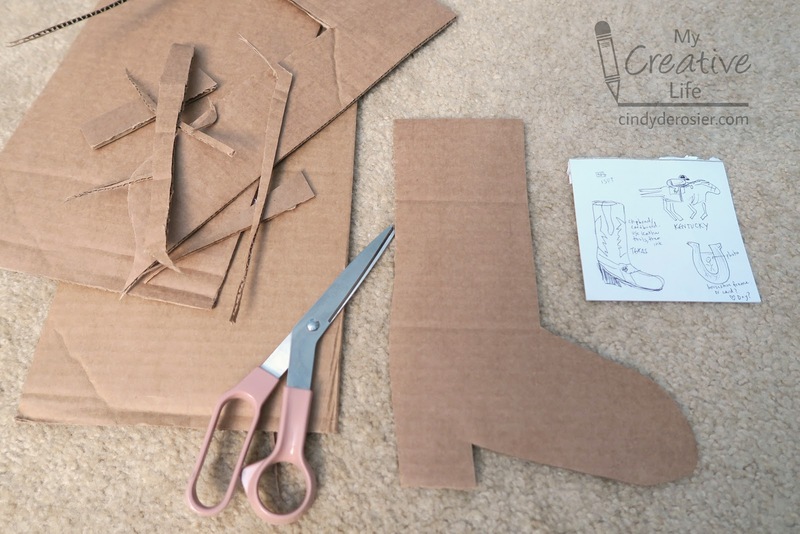 Start by cutting out a boot shape from cardboard. 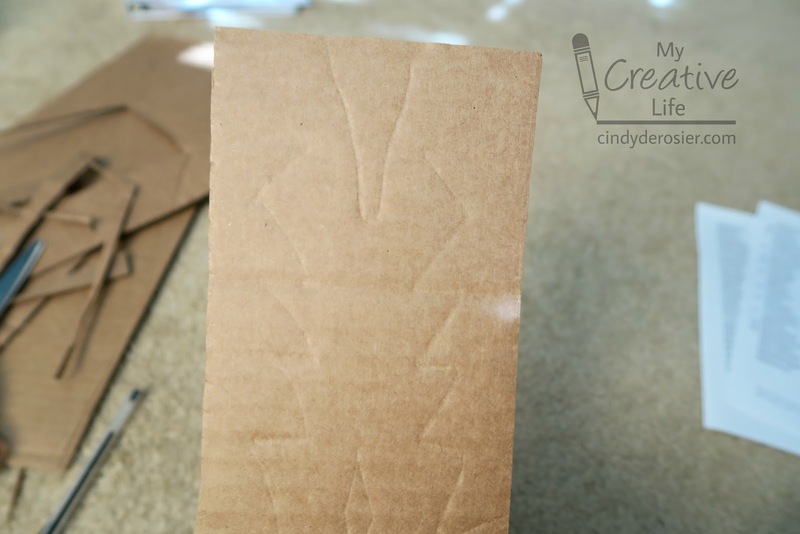 I used the flap of a cardboard box and it was the perfect size. 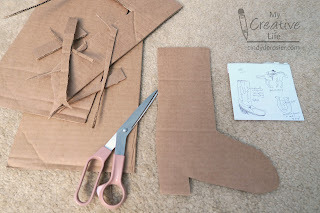 I cut mine freehand (and it looks more like a Christmas stocking with a heel than a cowboy boot); you may want to sketch the shape on the cardboard before you cut it out. Now, use the CAPPED ballpoint pen to draw patterns and designs on your boot. Use the same amount of pressure you would if the pen were uncapped. 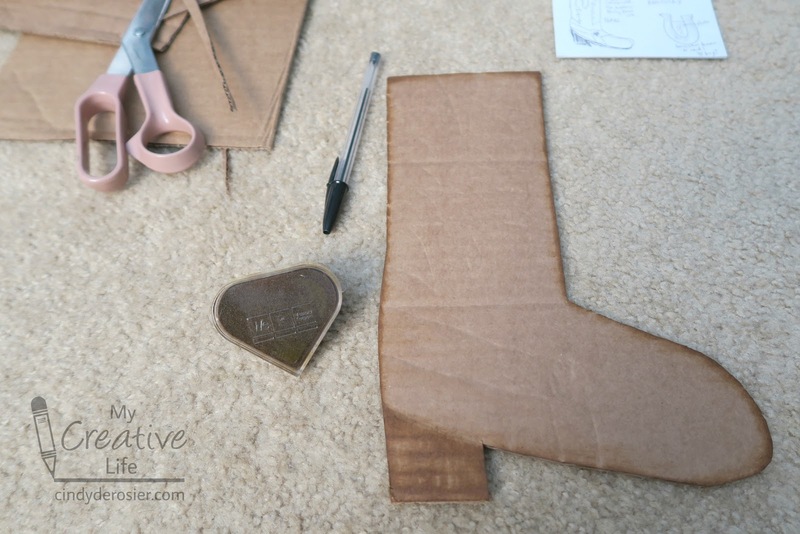 Rub a brown inkpad on the edges and on the heel. At this point, I trimmed the boot to make it less stocking-like (curved the top, pointed the toe up) and re-inked. But I didn't re-photograph. Sigh. 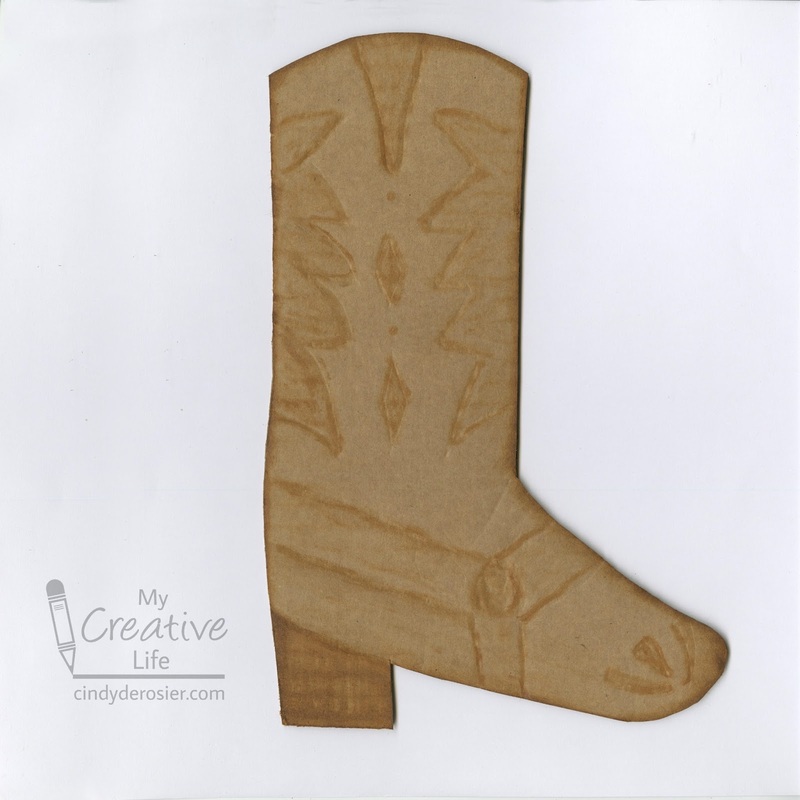 Rub a q-tip in the inkpad and use it to trace the indented patterns on the boot. 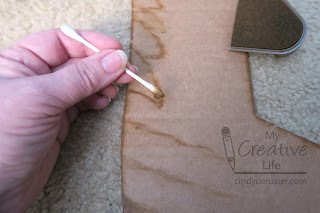 The q-tip will travel smoothly in the grooves you made with the ballpoint pen. Here's how my boot turned out. 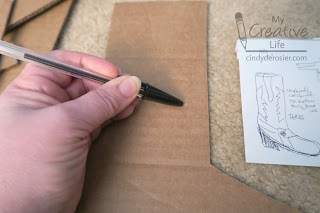 It occurs to me now as I'm blogging about this... those straps I drew in as decoration should probably be attached to a spur. Oh well. We'll just pretend it's decoration, or that my cowboy has spurs that camouflage perfectly with the background. This looks awesome!!! And I am glad you said TX, cause for some reason EVERY TIME Hollywood references AZ (in TV or movies), they always mention or show a cowboy! LOL!!! !